Locksmith Services Glendale AZ | Local 24 Hours | Metro Lock & Safe Inc. When it comes to locksmith services, Glendale, AZ residents need a company they can call for anything. It’s not enough to get great service if you can’t receive it when you need it. Time isn’t the only thing you want though. A friendly technician can make all the difference, especially in an emergency situation. 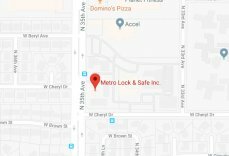 When you want the best in speed, service breadth, and demeanor, you want Metro Lock & Safe Inc.
All the locksmith services Glendale, AZ residents need, right in one place. With more than 30 years providing Glendale, AZ with leading locksmith service, we’ve created the perfect trifecta for total security. Our technicians are skilled in three disciplines; safes, locks, and security systems. 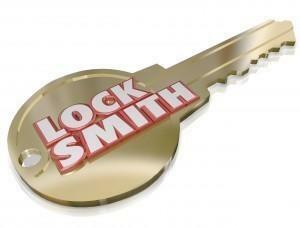 Whether you need locksmith services for a commercial business, or your home, we can provide them. Our technicians arrive in 20 minutes or less, and arrive with the necessary tools and parts to complete nearly any job. 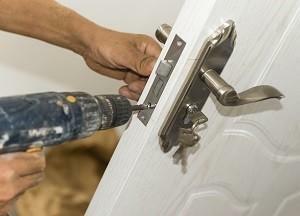 For traditional locksmith services, Glendale, AZ residents trust us to provide them with the best. Arriving quickly is just the first step. We’ll speak with you to identify your needs, and diagnose the problem when required. If you have multiple options we’ll let you know exactly what the differences are. An informed customer can make the right choice, and providing you with the best choices is always our primary goal. When safe services are required there may be multiple options. Our technicians are skilled home security experts. When installing a new safe, we can help you find the most protected position. If you have an existing safe, we can perform repairs that restore the security and durability of your safe. If security is compromised beyond measure we can provide recommendations and a new replacement. Protect your valuables with Glendale, AZ locksmith services. Whether you have a small home, a large compound, or a multi-story business, controlling access is key. Our security services begin with consultation. We’ll help you identify access points, control points, and what measures are right for you. We can install individual and integrated security measures that combine alarms, locks, visuals, and more. As a locksmith, we get dealer pricing and pass the savings on to you. Get security that works with your budget. Contact Us Today for the Complete Locksmith Services Glendale, AZ Trusts! Whether you’ve got an emergency or are calling ahead, our technicians are there right when you need them most! Don’t settle for slow service, don’t risk your security on a locksmith without multiple skill sets, and don’t settle for anything less than the best. Call (602) 663-9828 or Contact Us for locksmith services in Glendale, AZ today!